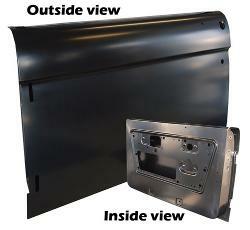 BRAND NEW Lower Door Shell for 68-77 Early Ford Broncos. 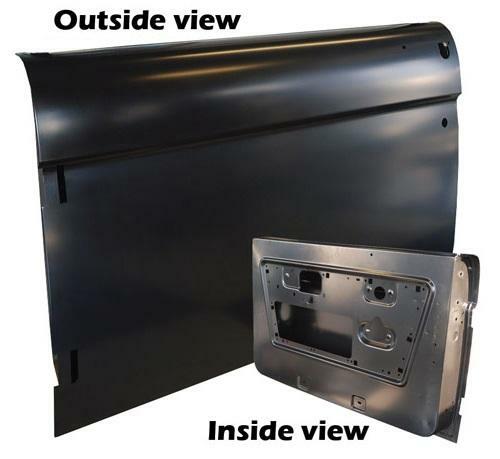 This is an excellent reproduction of the original Early Bronco Door Shell. Designed to accept bolt-in Door Window Frames. Ships via FedEx. NOTE: These door shells do have some areas that will require adjustment/modification for fitment. Please test fit prior to painting and make necessary adjustments.